Want to watch television online? That’s fairly easy with Tribler v5.0. Due to the latest, simplified implementation of the search box, users can easily find files without the need for a website – all done within the application itself. It works like file-sharing, except that it is not exactly file-sharing. Not yet gone, but soon, are going to be the days where expensive Word Processor, are required to type professional documents. Introducing Zoho Writer, the most comprehensive web-based application for small businesses. Because of its integration with Google Gears, it allows the application to be run offline, even without connection to the Internet. Mozilla Firefox 3.0.9 has just been released; well, I sort of notice it today when I ran the browser update, on a regular routine. There should be couple of bug fixes in this release, which are documented on the release note. Available in Windows and Linux, users can access the link above to download the application for your operating system. Early this month, VLC Media Player Portable 0.9.9 was released for public to be downloaded. The portable version is packaged as part of a portable app, so that you can take your audio and video files along with everything you need to play on the go. This latest version includes a multilingual installer and fixes a bug where directory was left locally. Furthermore, it is released under the open source, and it is completely free. 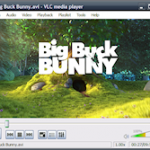 The VLC Media Player is both a cross-platform multi-media player and a streaming server. As a media player, it is highly portable, supporting various audio and video formats, such as MPEG-1, MPEG-2, MPEG-4, DivX, etc. Furthermore, the VLC player also playbacks DVDs and VCDs. In addition, it also works equally well as a streaming server to support unicast or multicast in IPv4 and IPv6 on high-bandwidth network. The application is also available in many operating systems, thus making it ultra-portable. After reviewing a couple of Linux Operating Systems (OS), such as Ubuntu and Debian, this time I am going to introduce you another Linux OS that is one of my favourite – openSUSE 11.1. 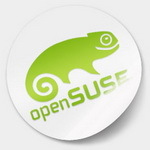 Similarly, openSUSE is a free, Linux-based OP for your computer, laptop or even server. What you can do with Microsoft Windows, you can almost do so with Linux, e.g. surf the web, watch DVDs, play games, etc. In this release of version 11.1, there are tonnes of new features and improvements, such as improved desktop experience with GNOME 2.24 and KDE 4.1.3. On top of that, you get to run OpenOffice.org 3.0, which is one of the latest office suite and is comparable to Microsoft Office. Whilst this version proves to be really a breakthrough for openSUSE users, there are several enhancement and improvements that we can look forward to. 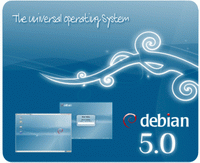 The latest release of Debian 5.0 has released not long ago. If you have heard of Ubuntu, but not Debian, then it is time that you start getting yourself familiar with this Operating System (OS). Similar to Ubuntu and other Linux OS, Debian is a free OS for your computer, and uses the Linux kernel (which is the core of an OS). In Debian, there over 25,113 packages, precomplied software bundled up in a nice format for easy installation. What is more interesting is that, Ubuntu, widely used and popular Linux OS, is built on Debian OS platform. Amongst all the Linux OS, Debian is one of those that I would fully recommend to everyone to use it. However, the level of usage could considerably meant for those who are advanced level and prefer to drill down to the low level configuration to get the system up and running. Once it is operational, it is a perfect OS to run servers and even desktops. You are currently browsing the SoftSift weblog archives for August, 2009.